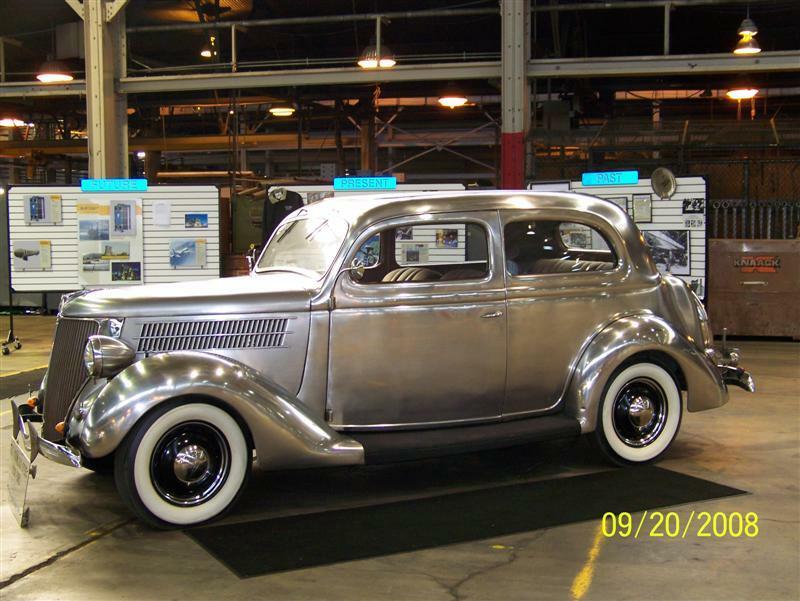 This is the 1936 Ford built for and owned by Allegheny Ludlum Steel. The Ford was on display at an open house and then was featured in a local parade with over 100 salaried, hourly and retired employees walking alongside. This is 1 of only 4 in existence and is the only one currently in running & in roadworthy condition. The car is in exceptional condition, with the interior and even the frame looking great. All 4 cars each had over 200,000 miles on them before being removed from service. These cars were built for Allegheny as promotional and marketing projects. 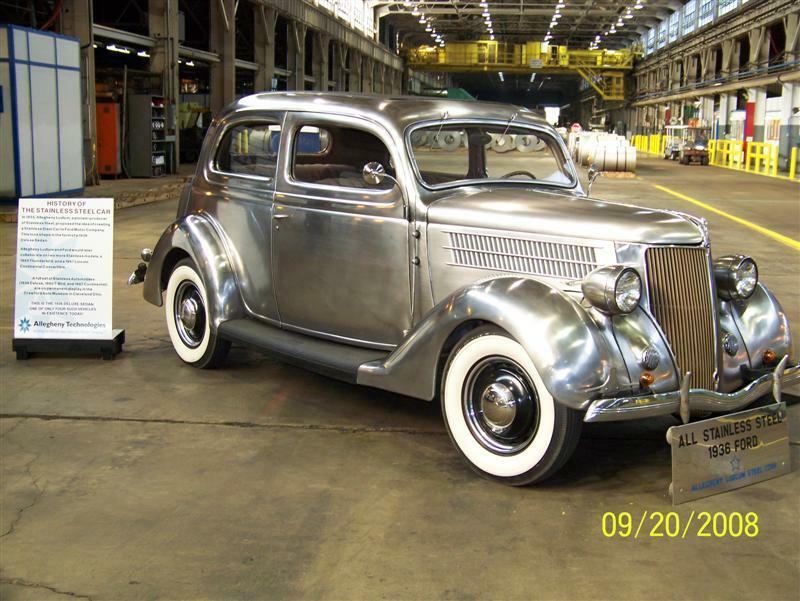 The top salesmen each year were given the honor of being able to drive one of the SS Fords for one year. The V-8 engine (85 hp) ran like a sewing machine and was surprisingly smooth and quiet. The car was insured (we were told) for the trip to Louisville via covered trailer for 1.5 million dollars. 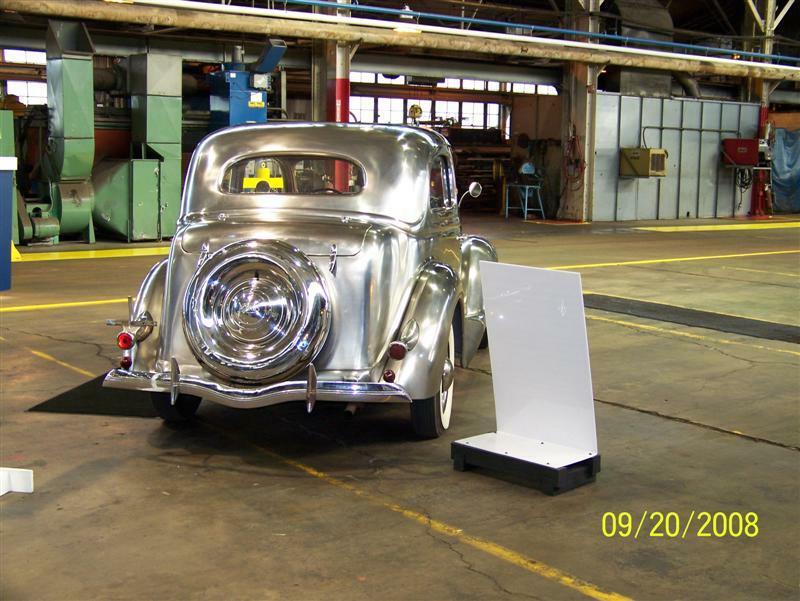 It was said that stamping the stainless car parts ruined the dies, making these the last of these cars ever produced.